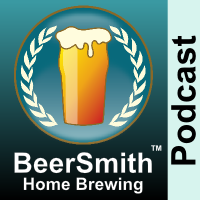 Chris Lohring, the founder of Notch Brewing joins me this week to discuss brewing Czech Lagers. Chris has been brewing Czech Lagers as session beers since 2010 and has some interesting insights on Czech lagers and their variants. Chris Lohring is the founder of Notch Brewing and has been a professional brewers since 1993. He launched Notch in 2010 to focus exclusively on session beers and will open a new Notch Brewing facility in Salem, MA in 2016. We start the discussion with Chris’ experiments brewing Czech lagers as “session” beers. Chris founded Notch Brewing to focus on session beers and has been brewing them commercially since 2010. We discuss how American Pilsners are different than Czech lagers, as well as the differences with German lagers. Chris describes the history of Czech lagers and how it arose as a distinct style. He shares his thoughts on the new BJCP 2015 style guide which includes a new category with several sub-styles specifically for Czech lagers. We refer to an article here by Gordon Strong on the new style guide. Chris tells us a bit about the style’s strength, bitterness and characteristics. We discuss the grain bill for a typical Czech lager. Chris explains what he adds to get the darker variants of Czech lager including Amber and Dark. We talk about the best hops to use for a Czech lager. He shares his mash preferences and makes a case for multi-step and decoction mashes for this style. We discuss the water profile as well as fermentation and lagering for Czech styles. He shares a few closing tips on brewing this style as a session beer. We discuss his brewery – Notch Brewing which is opening a new location soon in Salem MA. Chris shares his closing thoughts. Thanks to Chris Lohring for appearing on the show and also to you for listening!